Whether you're building automobiles or electronic components, processing food, maintaining electrical systems, or making plastic, temperature inspection using infrared (IR) cameras and spot thermometers is becoming one of the quickest, safest ways to accurately inspect electrical, electronic, mechanical, HVAC, and process control systems. These tools can pick up subtle—or not so subtle—temperature differences that spell trouble. They also allow you to keep your distance from hot, hazardous, or moving targets. 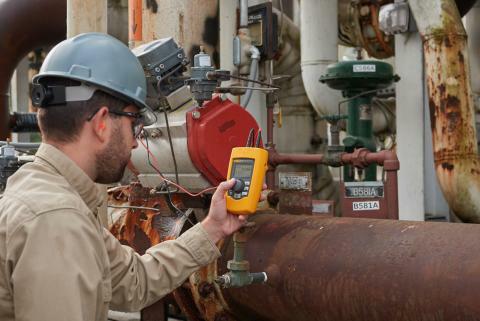 To ensure their accuracy, IR cameras and IR spot thermometers, like other inspection tools, need to be calibrated. The calibration standards used to calibrate them must be calibrated as well, by equipment that is also calibrated to a much better accuracy level. And so it goes, ultimately up to the International System of Units (SI) kelvin—the SI base unit of thermodynamic temperature. 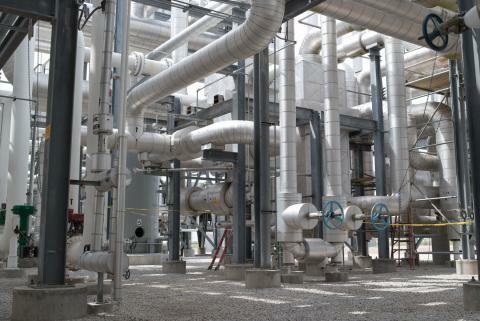 Metrological traceability of these calibrations is critical because accurate temperature measurements affect plant safety, process efficiency, material strength, product quality, equipment life, and more. In infrared radiation thermometry there are two basic types of accuracy. Applications that involve capturing the apparent surface temperature of an object or material typically require absolute accuracy. This is especially important in process applications such as metal or plastics manufacturing because a temperature that is off by even a fraction of a degree could mean the difference between the end product performing as specified or failing. In food processing, temperature is important for product safety as well as quality. Relative accuracy comes into play when the actual temperature of the target is not as important as the relative temperature of the target in comparison to its surroundings. This is particularly relevant for inspecting electrical and electro mechanical systems, building envelopes, and circuit boards. For example, an infrared image could instantly reveal a bearing assembly that is much hotter than the rest of the motor components. Or, if you're testing circuit boards, an infrared image might show that one component is much hotter than the rest, indicating an overload; or it could be absolutely cold, indicating a failure. Relative accuracy is as important as absolute accuracy because in order to achieve good relative accuracy, the infrared imager must have excellent absolute accuracy. Whether your application calls for absolute or relative accuracy, the infrared temperature inspection tools you choose need to be calibrated to ensure that they deliver the accuracy they specify. To verify that accuracy those calibrations need to be traceable to national or international standards and ultimately linked to the SI base unit of temperature. 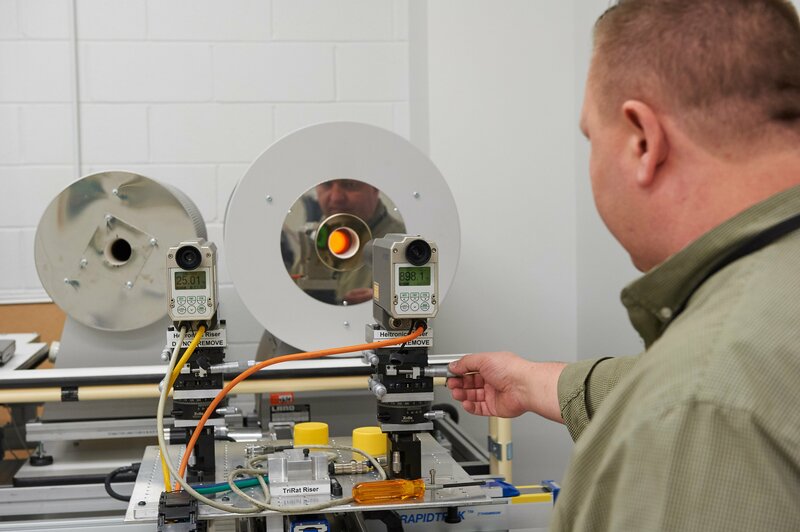 To standardize infrared calibration traceability for its own organization, Fluke Corporation opened a new infrared metrology lab in Everett, Washington, in May 2015. "We wanted to build a primary reference lab that disseminates infrared traceability to the rest of our infrared calibration laboratories worldwide" explains Slavik Moskalets, Corporate Metrologist for IR/Thermography at Fluke and manager of the Fluke Infrared Primary Reference Standards Lab. "The function of this lab is to maintain the primary reference standards, calibrate the working standards, and realize the traceability all the way from the SI base unit of kelvin down to the customer product." That traceability path starts at the National Institute of Standards and Technology (NIST), located in the United States, for high temperature applications, or Physikalisch-Technische Bundesanstalt (PTB), located in Germany, for low temperature applications. The Fluke lab sends its highly accurate primary reference standards to NIST or PTB to establish an unbroken chain of traceability to the SI base unit of kelvin. These devices are shipped in specially built containers to protect them from environmental and physical damage. Fluke performs rigorous confidence checks to help ensure that the accuracy of those standards has been maintained in transit. Once returned to the infrared metrology lab, those primary reference standards are used to calibrate working standards—also called transfer standards. Transfer standards, which include special optics and detectors, are used specifically to calibrate the black body cavity devices on the production floor or in the Fluke customer service center. The black body radiator concept refers to an ideal temperature source that can absorb all incident electromagnetic radiation, at all wavelengths and angles of incidence. 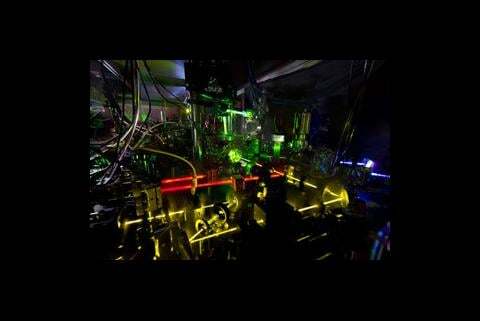 It also radiates all infrared energy according to Planck's law. Of course the perfect black body is not physically achievable so a near black body–also called "grey body"—is the closest thing. The Fluke IR Standards Lab owns several different designs of these devices which provide the "known" value to compare to unknown temperature values on the instruments being calibrated. After the black body cavity devices are calibrated they are used to calibrate infrared thermography customer products during manufacturing. Calibration stations are set up in a circle with multiple infrared camera engines on the outside of the circle, each pointing to its own radiometrically calibrated black body on the inside. The correct geometry and physical alignment of the camera to the black body are critical to achieve accurate calibration results. Each black body has a different temperature, ranging from 15°C to 400°C (59°F – 753°F) or higher depending on the IR camera being calibrated. The infrared engines slowly revolve around the black bodies and each takes a turn pointing at each black body to calibrate for that temperature. When the engines complete the circle, they are radiometrically calibrated and traceable to the SI base unit of temperature. Having a dedicated infrared primary reference standards lab provides a platform and an environment for realizing the most accurate non-contact temperature measurements possible. "We want this lab to be the focal point for disseminating the kelvin for non-contact thermometry to our operations around the world so there's no doubt about the quality of measurements in research and development or in manufacturing," says Jeff Gust, Fluke Chief Corporate Metrologist. "This will help to ensure that, regardless of where a product is made, it can be calibrated by any national laboratory anywhere in the world with the same results we get." Why does this year have an extra second?